It’s a stressful state of affairs when you, or someone if your life, is required to post bail after an arrest – and even more so if you haven’t got access to the funds. 70% of the 646,000 people jailed in over 3,000 of the US’s local prisons are being detained, awaiting trial, stuck in jail in the meantime because they owe money to get out. 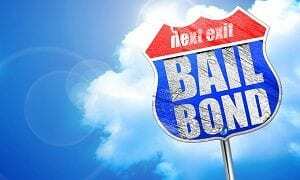 Bail bonds services are there for those to access funds and be released from jail to await trial – giving the defendant and their loved ones some peace of mind. Look at the services available in your area and check out their experience in this field. The bonds service that you end up selecting should have a proven track record in the process, as well as in the protocols of the jail the defendant is held at and the courts in the area. Experience also means they have been in the business for a decent period of time and so are versed in all of the methods put into place to quicken up the bail procedures. This often means picking a more expensive bondsman – the service will be better. The service must be licensed in the state in which the defendant lives. It’s a case of familiarity – the service will know the ins and outs of the bail process under the local authority and can do the best job for you. The best bail bonds services are those that let you easily communicate with them – which might mean face-to-face meetings. Make sure they’re local and have an office nearby. It’s likely that you’ll need bail bonds services out of typical office hours. So make sure the one you select is accessible to you whenever you might need them. This applies to the aftermath of them posting your bail. Will you need the service during the trial period, for example? Make sure they can be available if they need to be. Is there an out of hours service they can provide so that you can reach them for advice in an emergency? 4 – What Payment Plans Are Available? The best bail bonds services are the ones that let you know precisely where you stand with them and their procedures. Part of the decision-making, when it comes to selecting the right service for you, is to look at the repayment options that they will offer you. This must fit with your personal circumstances, and there can’t be any nasty surprises or shock fees along the way. A good sign of the best bail bonds services are the ones that ask you certain information up front. They need the full legal name of the defendant, their date of both, the arrest date and the amount required by the jail for bail. A competent service will start by asking you these pieces of information. If you’re looking for an understanding, family-owned bail bonding business located in Raleigh, NC area, Absolute Bail Bonds is the one for you. Run on the ethos that everyone is innocent until proven guilty, we never judge or discriminate our clients. Whether you’re charged with a driving offense, simple assault, domestic violence, or any type of felony or misdemeanor, we can relieve some stress and make the process easier for you and your loved ones.